iGuzzini contributes to the celebration of the design represented by Salone del Mobile, participating as a sponsor to the realization of events such as installations, but also book presentations. 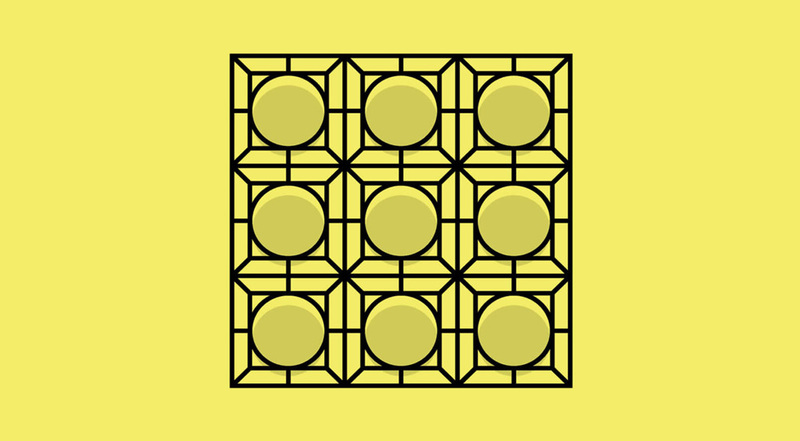 Created and designed during Workplace3.0 biennial and curated by architect Cristiana Cutrona. The installation gives form and life to the latest theories of office product and workspace design, with man in the centre, with its real needs, emotions and experiences. The curator sought the collaboration of 4 architectural firms with prestigious international reputation, chosen according to their geographical area. 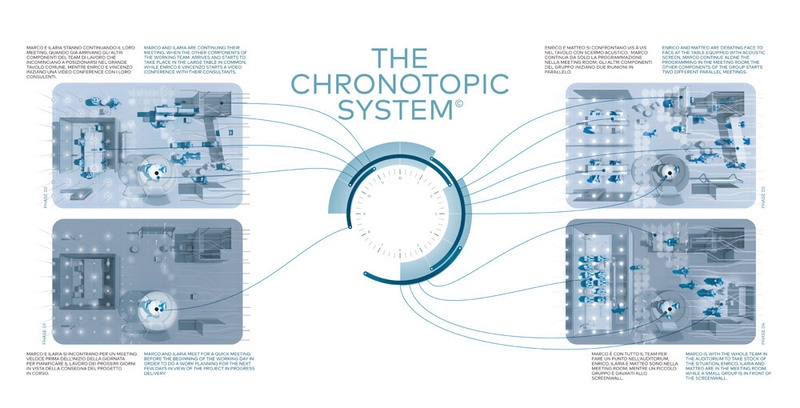 The project by Femia 5+1AA (Italy) is called Chronotopic System: a setting that changes in relation to space and time, and according to the activities, needs and desires of its “inhabitants”. Border crossing, contamination, integration, and belonging are the key concepts of the new workplace, with an advanced capacity of generating relations. For this setting iGuzzini has provided 50 Drop by Drop, a custom product. Other firms are: UNStudio& SCAPE (the Netherlands); O+A (US); and Ahmadi Studio (Iran). REFRAME installation at Università degli Studi di Milano. iGuzzini is a technical sponsor of the installation created by architect Micheli, with Pixel Plus, Underscore, and Woody w/picket for outdoor installation. 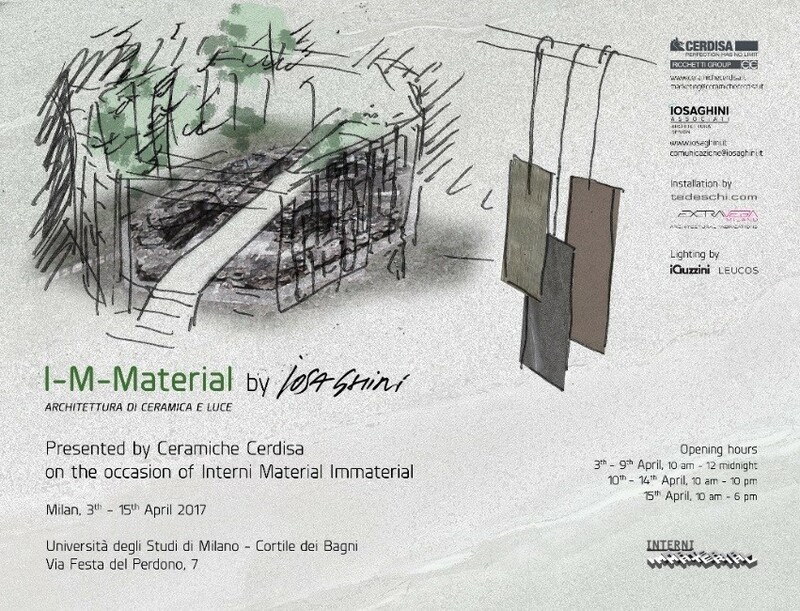 Massimo Iosa Ghini addresses the old dualism between material and immaterial with I-M-Material, an installation made of ceramic and light. Just like earth moulded with fire, ceramic is the paradigm of materiality; light, on the contrary, is the symbol of intangible thinking. The passage from matter to light is expressed by the juxtaposition between the abstract beauty of light and the “earth-like” concrete essence of ceramic. The installation is a large octagon that is open to visitors, where ceramic plates from the new Ceramiche Cerdisa collections hang from a mirrored support, in close relation with Cortile dei Bagni. The plates move when people pass-by, and light, by iGuzzini, shows their matter in detail, converting a small architectural work into a new, immaterial setting. The installation was created in collaboration with Tedeschi, Extravega Milano Architectural Fabrications. The ‘Venice. Prezioso Quotidiano’ exhibition re-interprets the value of industrial objects with the contribution of art, presenting an installation by Marco Pareschi and four sculptures inspired by the new Venice collection of Fratelli Guzzini. The House of Birds exhibition, created by Action Giromari at Giardino della Triennale of Milan for Design Week 2017, showcases 24 projects in which design, creativity and nature mingle. Roberto Giacomucci, the project’s creator and curator (who involved our company in the work) coordinated a workshop of 24 renowned Italian and international designers, who were challenged to design a birdhouse, with the freedom of expressing and experimenting their vision through functions, shapes, colours and finishes. 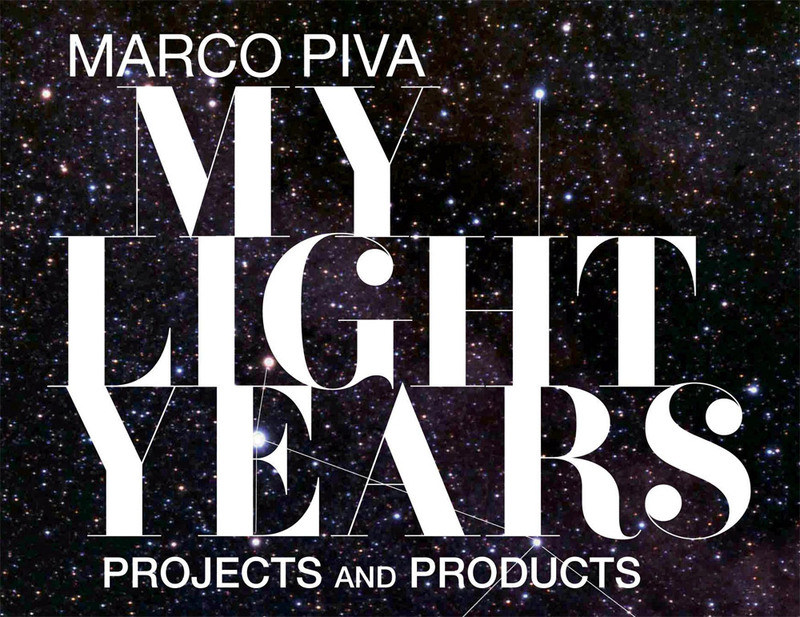 Architect Marco Piva presents his new book “My light years” and inaugurates the exhibition of the same title. The book opens with a preface by Adolfo Guzzini in which he recalls the long-term collaboration with the architect that has resulted both in the realization of several lamps, and in the collaboration on many important projects. One of most recent: Hotel Gallia in Milan. "With the aim to use design to improve the welfare of people I see a direct connection with what in iGuzzini we call “Social innovation through lighting." 7 April Events: conference at 14:30, book presentation at 19, Cocktail party at 20. Central to Ferrier’s work is the idea of the sensual city – a desire that all buildings should respond and contribute to the sensorial experience that makes us human. In Palazzo Beltrade Jacques Ferrier will discuss his way of designing the façade as an in-between space that is neither outside nor inside. The skin of the building plays with natural light and shade, responds to the climate, creates a sense of depth, and offers a new space to be experienced as a contextual atmosphere. The exhibition is lit by Underscore, which highlights the double skin surrounding the set-up and Laser Blade used to lit the furniture pieces exhibited.